1000 Km walking meditation to Santiago de Compostela using the "Via de la Plata" route. One year ago a good Italian friend told me "Hey, I'm going to walk to Santiago de Compostela!". "Really" I said. "Awesome! I would love to do it too". I immediately reminded the book from Paulo Coelho, "El peregrino de Compostela" ("The Pilgrimage" in English) that I had read many years before. I actually don't remember anything about the book except for a thought that came to my mind... "Wow, does this really exist? I would love to do a pilgrimage trip like this". It's unbelievable all the things that you can see just by walking 39 days (38 days + 1 day off) from Sevilla to Santiago de Compostela, so I wrote this post to be able to remind me at least of some of those things. Below is the exact itinerary that I followed (not necessarily as indicated in the guide books). Via de la Plata FAQs: What to bring and more tips for your pilgrimage trip to Saint James the Compostela (Santiago de Compostela) using the "Via de la Plata" route. "Living with the Himalayan Masters" reminded me of Paramahansa Yogananda's Autobiography of a Yogi. It is also the autobiography of a great Indian yogi, Swami Rama of the Himalayas, but written in a very different style. 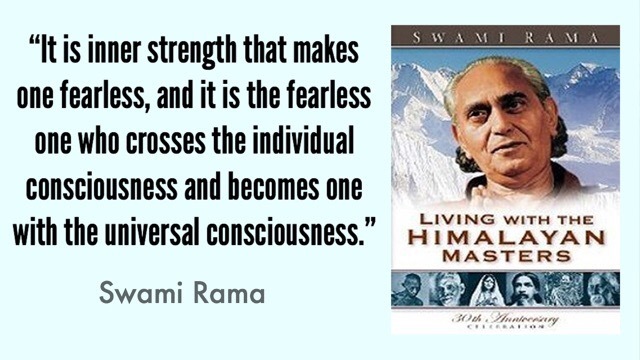 Although Swami Rama was considered a great yogi from early childhood he writes in a very humble way. Whenever he tells a story he shows how immature, egotistic or arrogant he was and how his master, with a very loving touch, helped him to overcome his weaknesses. I don't know if this happens to you as well but sometimes I just waste hours and hours surfing the net for something to be discovered, not knowing exactly what I'm looking for. Luckily sometimes I do find some hidden jewels on the web and then I feel like sharing them with others. I found these videos probably like a year ago. They are from a lecture given by Swami Rama of the Himalayas about the Yoga Sutras of Patanjali and the Raja Yoga path. 85 videos in total!! hours and hours of video. Believe me, these are just priceless, I feel really fortunate to be able to watch these teachings.